Is it personalized (ie, like the modern Google) or is it the same for everyone (like Google circa 2010)? 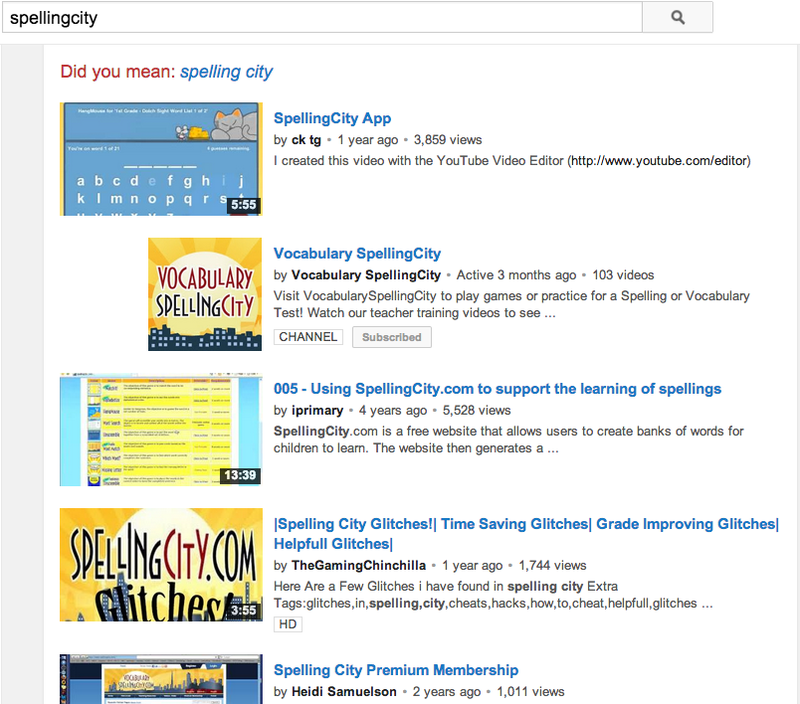 Let's test, I just typed in "spellingcity" to the youtube search bar on my account. My account often does SpellingCity stuff. 3. Using SpellingCity...by Iprimary 5,528 views. So one marketing program might be to pick some keywords that are of interest to us and frequently (every 2 months? ), add a new one for the same terms. Perhaps put it on the same playlist as the previous one. Also, given the vast number of views for little kids, we could do something really simple aimed towards little kids but heavily branded to VocabularySpellingCity.